This Two Pocket 3/4 Apron is perfect for bars or cafes looking for a basic and classic waist apron. Two Pocket Bistro Aprons are clean & professional. Our smart aprons keep you looking great even at the end of a long shift. 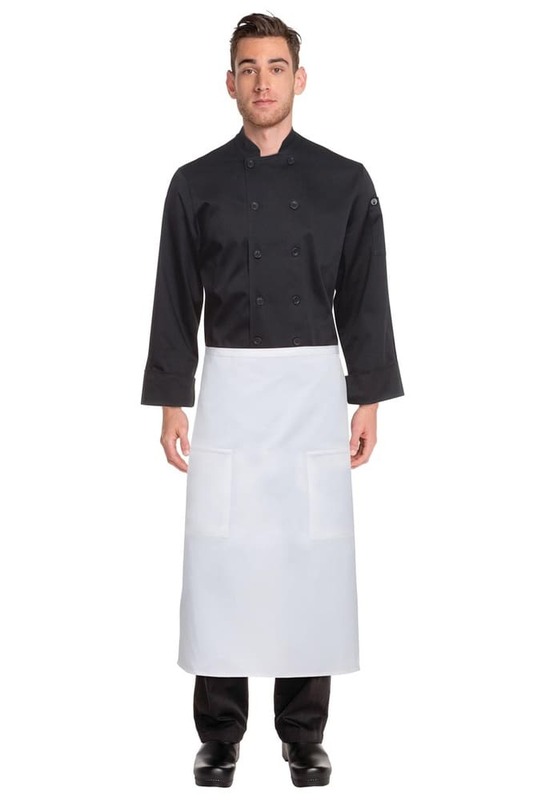 Made with durable poly/cotton fabric, our Two Pocket Bistro Aprons can handle the most demanding culinary environments. 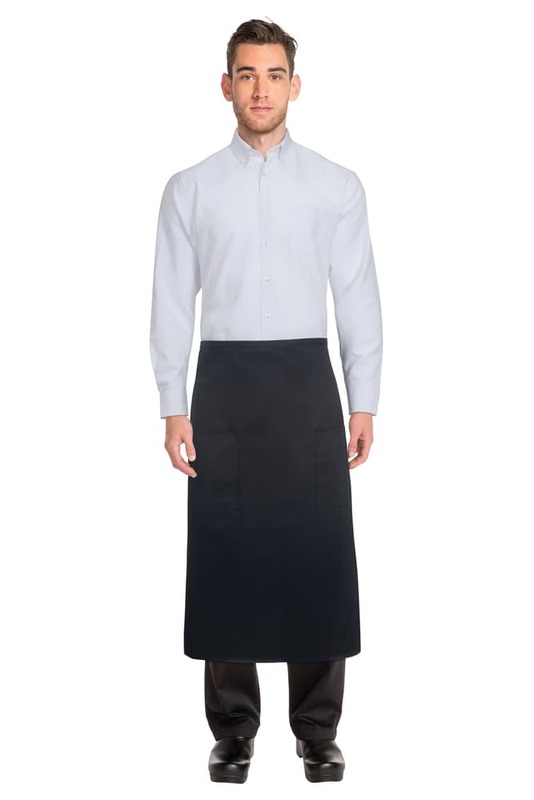 The heavyweight fabric in our Two Pocket Bistro Aprons is pre-tested for durability and strength, and selected based upon overall endurance as well as optimal wrinkle-resistance, which increases the aprons longevity and performance. Two Pocket 3/4 Aprons feature two patch pockets. The right pocket has a pencil divide. 1 Logo Embroidered (80×40)mm. Bigger area available at an additional cost. Please request quote. Price includes free artwork and delivery to 1 metro location. Once off digitisation of $45 may apply (not for repeat orders). Excludes GST.